Thursday's off-day brought bad news for the New York Mets. Rookie left-hander Steven Matz was diagnosed with a partially torn lat. Manager Joe Maddon sent one of his most trusted role players to pinch hit at a crucial moment -- except Jonathan Herrera couldn't find his helmet. There may not be a role player Joe Maddon likes more than backup Jonathan Herrera. Every team needs those kinds of professionals coming off the bench. 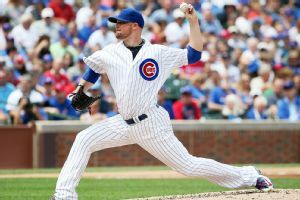 Chicago Cubs regulars Dexter Fowler and Kris Bryant have the day off on Thursday as the Cubs and Mets play their series finale. 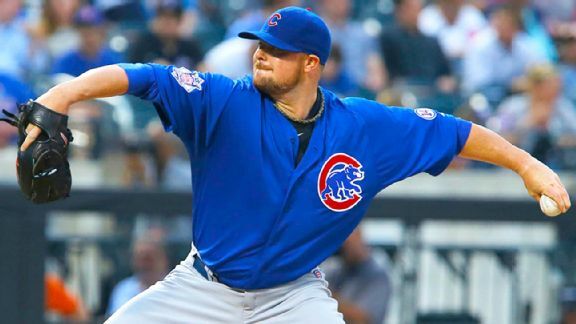 The Chicago Cubs beat the New York Mets 2-0 in 11 innings on Wednesday night. Here's a quick look at the game. Here are the lineups for the middle game of this three-game series between the New York Mets and the Chicago Cubs at Citi Field. 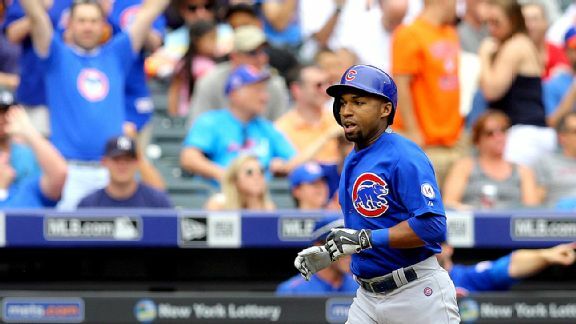 The Chicago Cubs enter this week's series against the New York Mets having lost five in a row. 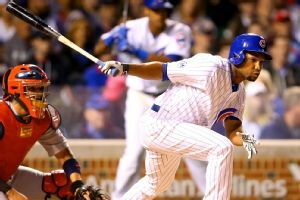 Rapid reaction from the St. Louis Cardinals' 3-2 victory over the Chicago Cubs in 10 innings, as an error allowed St. Louis to grab a walk-off win. Among regulars, only outfielder Jorge Soler remains out with an ankle sprain, and he should begin a rehab assignment in the minors shortly.